It’s becoming tougher and tougher for companies and businesses to compete in the market with just the traditional techniques. These days, marketing and advertising of a product is more than just an ad in a local newspaper or a big painting on a billboard. PR & Digital marketing has changed the whole concept behind making your company famous and well reputed in the national and international market. Sometimes it creates a little confusion that marketing and public relations are just different names for same terms but in reality, they are completely different. Marketing is the set of tools that help sell more products and increase number of clients where public relations are the name of how you present yourself in front of the customers and how you want to establish professional and formal communications with clientele. Brand awareness is something that needs time and lots of efforts to work especially for a startup business. This can easily be managed with PR marketing because it can help you get close to people in your local communities without the need of approaching them in a costly manner i.e. billboard and radio advertisements. It can take months or even years before people fully trust a company but once it’s done, keeping that credibility graph high is easier with PR marketing. Marketing experts understand that even if two businesses offer same products and services, the way they approach their customers will be completely different. The reason is that how a company conveys its slogans and mottos to the general public depends on what motivates them and how they want to be seen through the eyes of consumers and the general public. 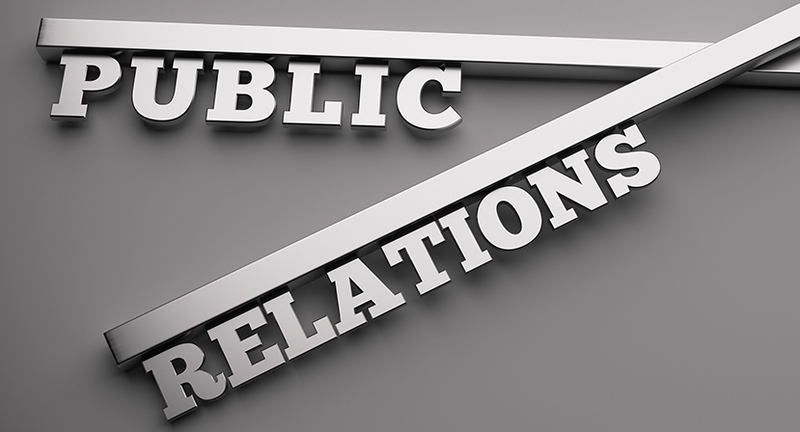 With public relations, you have the upper hand and the choice of what you want to convey and how you want to convey that message to potential consumers. Another important feature of PR and digital marketing is that you can customize separate messages for each representative without the need of just introducing one common slogan. Not always but sometimes you will face a difficult situation where a marketing campaign will go wrong or some unsatisfied customers will say bad things about your products which can seriously damage your reputation in the market. The right thing to do here is to quickly start repairing your reputation and that can only be done with public relation marketing techniques. This can be anything from face to face meetings to a simple press release or whatever suits your needs but the bottom line is that what PR and digital marketing can do for general reputation building in the market, no other techniques can give the same results. Let’s face the fact that every type of marketing technique costs money. It requires money to make money and this can be a little tricky for a startup business and small companies in local communities. This is where public relations’ marketing prosper because the basic purpose of this technique is to use personal relations with people and friends and help build a good reputation of your company in the local communities. It doesn’t matter if you ask your friends to attend social gatherings and help bring up your reputation among these groups or you hire a famous celebrity to advertise your products because the key idea is to convey specifically designed messages and slogans to potential customers. Keep in mind that no matter what business and marketing strategy you implement in your company, it’s not a secret. Other companies especially your competitors are most likely to use the same techniques as well. You might not consider but your rivals might also have some hidden tactics that can increase their sales and reputation in the market which means you also need to get close to those secrets in order to stand in the competition. With effective PR and digital marketing techniques, you have the chance to not only practice your own tricks but to understand how your competitors try to compete in the market as well.